MINOR FLOODING IS CURRENT AT GLENREAGH AND COUTTS CROSSING. MODERATE FLOODING IS EXPECTED AT COUTTS CROSSING. Minor flooding is occurring along the Orara River at Glenreagh where the river is expected to peak early Monday afternoon. Minor flooding is occurring along the Orara River at Coutts Crossing where moderate flooding is expected. 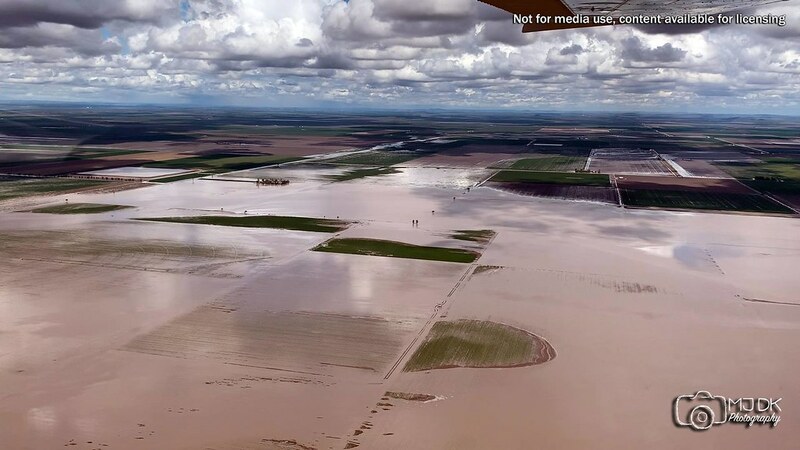 Heavy rainfall has been recorded across the Orara River catchment during Sunday and early Monday morning. Rainfall has eased since 6am this morning. Moderate flooding is likely along the Orara River. The Orara River at Glenreagh Automatic Gauge is likely to peak near 7.90 metres around 02:00 pm Monday with minor flooding. The Orara River at Glenreagh Bridge (manual flood gauge) is likely to peak near 6.20 metres around 03:00 pm Monday with minor flooding. Minor flooding is occurring along the Orara River at Coutts Crossing where the river is likely to exceed moderate flood level (9.00 metres) around 03:00 pm Monday. The river level is likely to reach around 10.50 metres Tuesday morning with moderate flooding. Yesterday a forum member had 64mm in a few hours at Robina and here at the tweed only 20km away we got a couple of mm in that same time frame. Your either on the 'rain train'or observing from the periphery. 82.5mm to 9.00am . 138mm for the event. No fizzer for me. 40mm at my location in Toowoomba for the event, the bulk falling yesterday and last night. Some really nice lumpy showers coming through. 5.5mm since 9 o'clock. And add 'plucka' for anything really dodgy. Glad to hear of some good totals around. Geez, Adam, that must be one the lowest rainfall ytd’s Toowoomba has ever had? Another 6.5mm yesterday for an event total of 64.5mm. 25mm in the previous 24 hours...170mm total for this event. 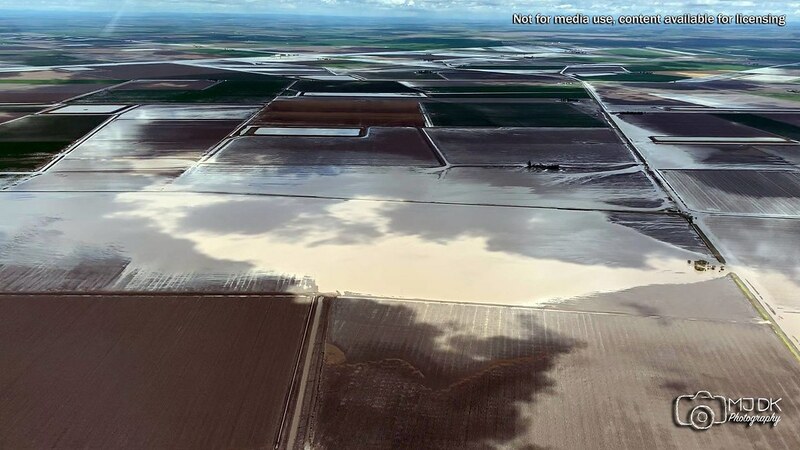 Very wet around the area, lots of flooded paddocks, creeks are up. Total of 40mm all up , feel like a bit of a loser. However seeing some totals, especially out on the downs, how good. Surely that will put moisture into the profile for a while? 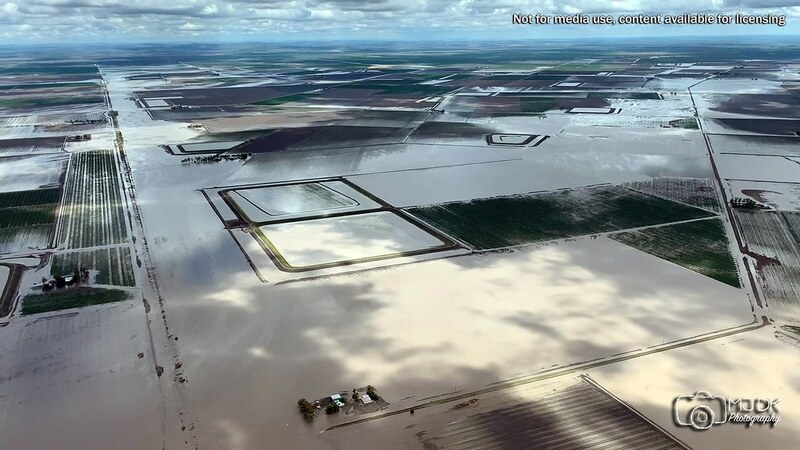 For those without facebook, the above images via the MJ DK Photography fb page taken between Bongeen and Bowenville on the Downs today show the after-effects of those intense rain rates yesterday. Video & photo licensing available via Severe Weather Australia. The loss of our background upper support from the vacating upper level trough showed up really well in the popcorn shower activity replacing the more widespread showers and rain areas from yesterday. 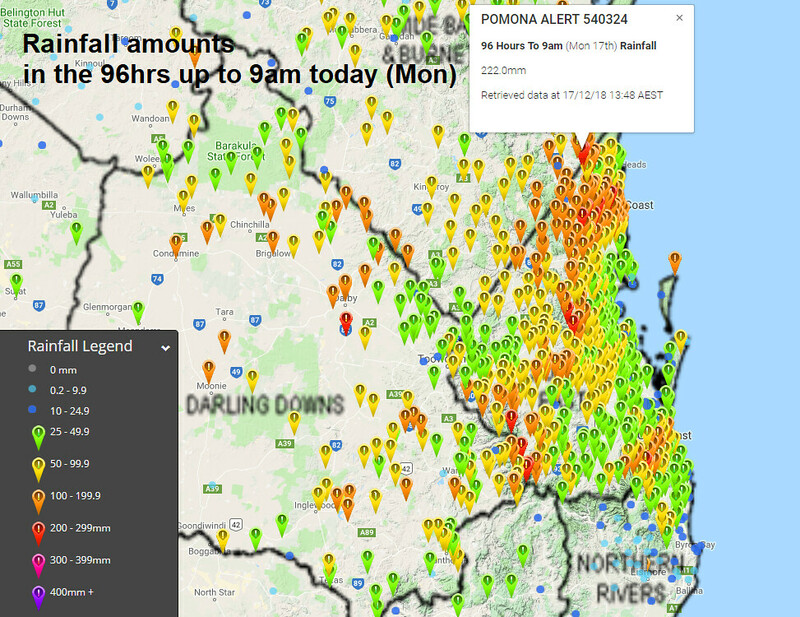 Also above are the rainfall amounts in the 96hrs up to 9am today via The Early Warning Network (note that some of the colours aren't the same as the rainfall dot map on the Bureau's website).... and an estimate of rootzone soil moisture (nominal depth of the top 1m of the soil) compared to normal as at yesterday via the Bureau - hopefully the recent rainfall will make a further dent in that. Now we wait and see if the increasing instability, shear, and heat later this week/early weekend will yield something significant (I'm reasonably confident of showers and thunderstorms but not so confident on exactly which areas). 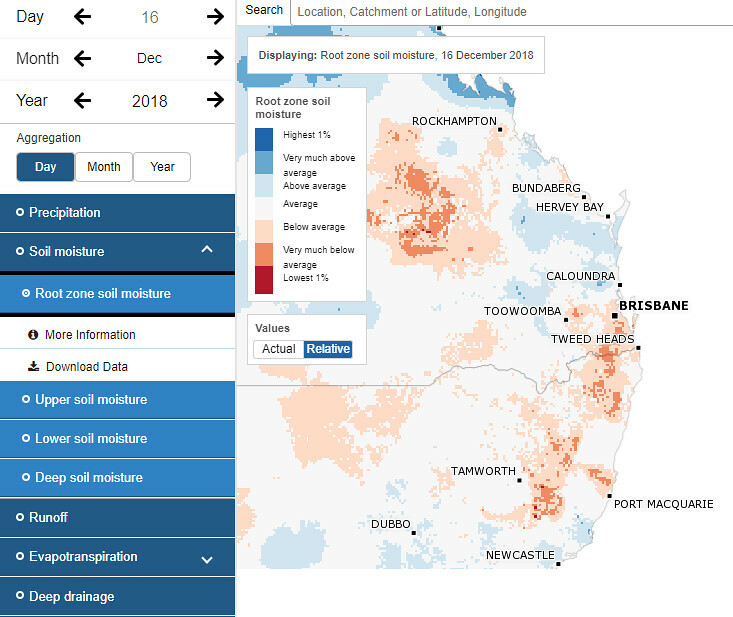 Great post ken, that soil moisture graphic , u got one form a month back, has to be quite a contrast. Don't get me started. One look at the radar tells you all you need to know - stream showers at best. When I left work this arvo at 2.30 it was sort of looking pretty good for a sec and was a little surprised at the look of the cloud formation but no thunder I'm pretty sure. Great post Ken, very informative. Tremendous rain amounts around Dalby for sure! Certainly enough heat to work with for storms coming up early in the weekend. Will be in Wynnum for this event. I wonder if the seabreeze will be too strong and keep most of the more significant storms away from the coast? We got 26mm last night Eye2Sky so our event total here is now 67mm. Ground was very soft and boggy in this black soil even before last nights addition. Almost got the Wife's Mustang bogged yesterday arvo getting it out from under safe cover and around our shed before the falls last night. If I tried to do that this morning I would not have had a chance. Very happy though. The grass is getting greener by the day. Excited to see much greater totals on the downs for others though. Should be a great start to the season for many Farmers. But they might have to wait a week or more before they can get machinery in. Was at the rifle club at Leyburn yesterday and only just got there. So much water around and flood-ways to cross even before the epic totals last night. I am very happy for the Farmers. ASG. Great find Ken. Certainly a very impressive amount of rain falling out there on that part of the Downs. Storms/showers pretty much kept about the ranges today in NENSW, mostly wandering in whatever direction they desired due to a lack of steering winds. Though some got strong enough for the Bureau to issue a STW for Heavy Rainfall. An event total of 152.6mm here. With a fortnight remaining of 2018, we're only 13.6mm below the yearly average. 8 registered (ashestoashes, crikey, Ben K, mysteriousbrad, LonnyDave, Adaminaby Angler, Aussea, 1 invisible), 62 Guests and 3 Spiders online. Generated in 0.025 seconds in which 0.012 seconds were spent on a total of 13 queries. Zlib compression disabled.